Throughout the Greater Boston, Massachusetts area, residential homes and commercial businesses are supplied with cleaning and janitorial services from Nadia’s House Cleaning Service. Since 1986 we have been fully insured and licensed to deliver fast, friendly, and professional services. Nadia’s House Cleaning professionals are highly trained, skilled, and knowledgeable, and with the use of top-quality products and equipment, your cleaning and janitorial service results are far superior than our competitors. With our dedication to family-friendly customer service, high moral standards, affordable rates, and maximum execution in all services rendered, your Nadia’s House Cleaning experience will keep us your regular house and business cleaning specialists for years to come. Be sure to store our contact information in your cell phone to reach us quickly and conveniently. 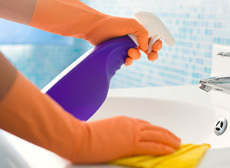 Housekeeping and maid services are offered to our residential customers in the Greater Boston, Massachusetts area. Nadia’s House Cleaning knows that sometimes there are circumstantial restraints that might require our services. Whether you have physical disabilities, simply can’t afford the time, or merely lack the ambition, Nadia’s House Cleaning can offer you our housekeeping and maid services to help you ease the burdens of cleaning your home. 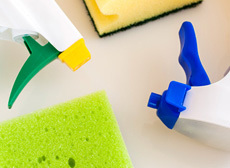 Nadia’s House Cleaning can offer flexible cleaning plans and tailor your home’s cleaning accordingly to your needs. –	Bathrooms: Remove the bathroom of any dust and cobwebs from the surfaces including the walls, ceilings, and door frames. We then clean and disinfect the countertops, toilets, showers, and bathtubs, including the faucets. Additionally the mirrors are thoroughly cleaned. 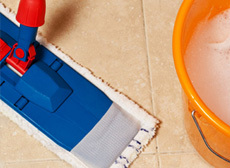 Floors are properly cleared of dust and debris and washed accordingly. –	Bedrooms: Window sills, walls, baseboards, doors, doorframes, and other surface areas are relieved of dust and cobwebs. We include wiping down any wall décor including, picture frames, mirrors, and furniture items. Floors are either properly vacuumed or swept according type. –	Dining room: Walls, ceiling fans and light fixtures are removed of dust and cobwebs. Tables and chairs are completely wiped down, removing dust, or spots. Floors are completed with vacuuming or sweeping and mopping as the surface floor requires. –	Living room: Walls, window sills, baseboards, light fixtures, furniture and other surfaces are dusted and cobwebs removed. 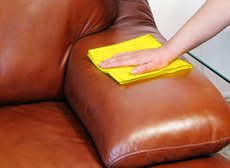 Furniture upholstery is vacuumed and floors are cleaned accordingly. –	Laundry room: All surfaces are cleaned and dusted, including the surfaces of the appliances and floor is vacuumed, sweep and mop accordingly to the type. –	Kitchens: Kitchens are the heart of many homes, and with extra cleaning treatments. Countertops, sinks, faucets are cleaned and sanitized. The exterior of cabinets, drawers, and appliances are carefully wiped down. Kitchen table and chairs are wiped and removed of debris and spots. Floors are carefully swept and mopped accordingly to the material surface. –	Additional cleaning can be included according to your wants and needs. Nadia’s House Cleaning housekeeping and maid cleaning service is offered to residential homes in Boston, Massachusetts and surrounding areas. If you find yourself in such a need, don’t hesitate to call us and get the process started.